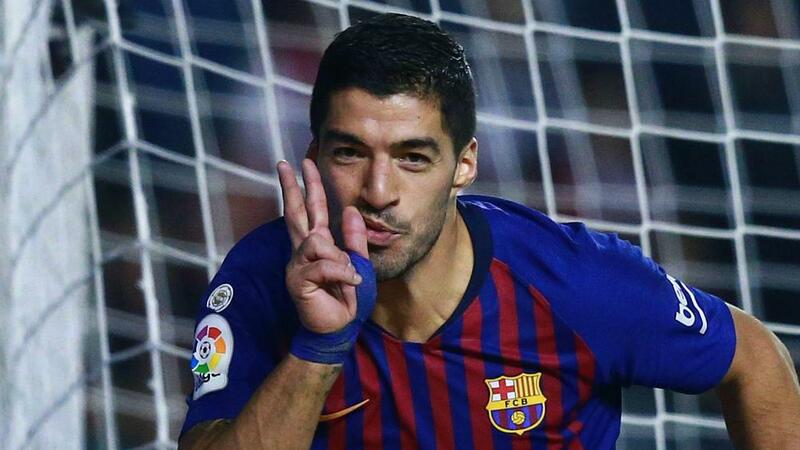 Barcelona head coach Ernesto Valverde expects to have Luis Suarez available for selection when his side take on Espanyol on Saturday. Star striker Suarez played the full match in a 1-1 draw at Atletico Madrid last month but subsequently underwent stem cell treatment to address an issue in his right knee. Barca host Cultural Leonesa in the second leg of their Copa del Rey last-32 tie on Wednesday, leading 1-0, and Valverde says the Uruguay international will not be risked but is well on the road to recovery. "Yes, we are optimistic," he said. "He won't be in the team [on Wednesday] but that doesn't mean he couldn't be. "We want him to be back this weekend." Valverde was dealt a blow with the news that Rafinha will spend six months on the sidelines with a knee injury, but he hopes it could open a door for 20-year-old Carles Alena, who has been promoted to the first team as cover. "I think he's been playing well for a while," said Valverde. "We thought he'd be with us this year but because of his operation at the end of last season there was a bit more of a wait. "The idea was to have him fully with the first team this January but we've moved that forward because of the injury to Rafinha. "We hope things go the way he wants and the way we want so that he can become an important player for us." Asked who he was looking forward to seeing in action amid multiple changes to his side for Wednesday's clash, Valverde responded: "Everybody. Not just one player. "There will be changes to the line-up and there will be players who have had not so many opportunities and it will be a chance to see them. "But let's not forget it's not just about seeing what players can do, it's about winning. We have a strong motivation for the match."